As it always does year on year. 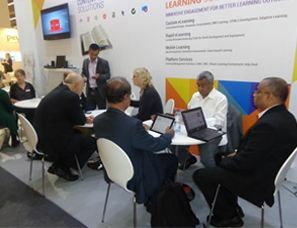 This year’s focus was on learning solutions along with publishing product solutions for improving publishing efficiencies. iCorrectProof, an advanced online proofing tool developed by Integra, was yet another attraction of the event. The product, developed by keeping the author and publisher in mind, is designed to eliminate the manual author proofing. The live demo of digital services attracted many to the booth. The Frankfurt Book Fair, the biggest book and media fair in the world, attracts around 7000 exhibitors from over 110 countries, 300,000 visitors and approximately 9,000 accredited journalists in attendance.